Today marks the latest round in the Great Boston Casino Slapfight between Wynn Resorts (wants to bring gambling – sorry, gaming – to Everett) and Mohegan Sun (wants to build a stately pleasure dome in Revere). 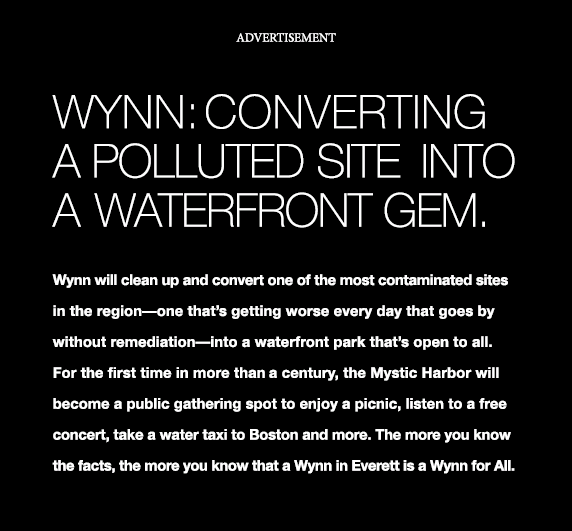 That has the eco-set all lathered up, despite assurances from Wynn’s hired hands. 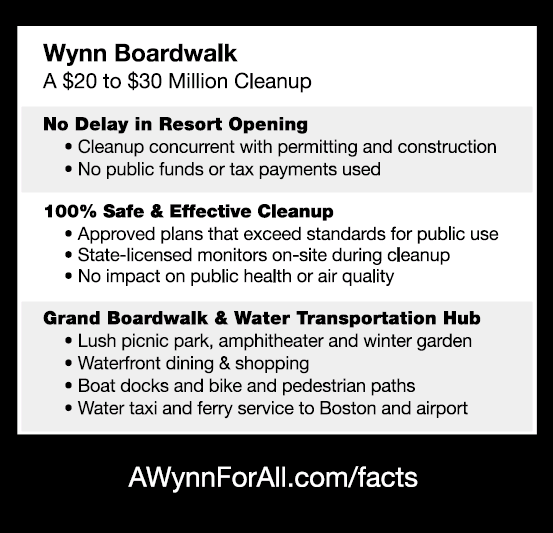 Officials representing Wynn Resorts, which has promised to spend as much as $30 million over about six months to clean the property, said the proposed regulations would have little impact on their plans. Maybe change that website to AWynnForSome.com, yeah? This entry was posted on Thursday, March 13th, 2014 at 2:01 pm and is filed under Uncategorized. You can follow any responses to this entry through the RSS 2.0 feed. You can leave a response, or trackback from your own site.